Many times we need to know the direction of a place like it is in north or south. Normally we use our knowledge and for accuracy we can use compass. It is not possible for us to carry a compass with us but surely we carry our mobile. In today’s life we can’t afford to forget our mobile. Then why not use a compass apps on our smartphone which will help to locate exact direction. It no matters you are using Apple iOS device or Android device there are many free compass apps available. This is #1 compass app for Android, featuring different styles, location display, and Catch Notes integration for easy location notes. This app features location display and geo-tagged notes. 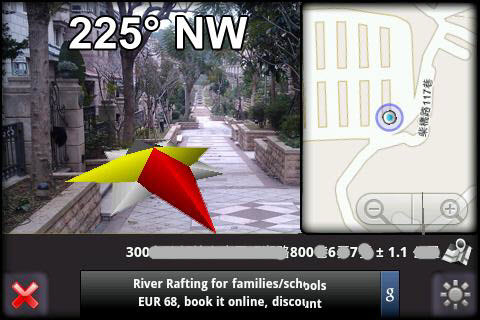 3D compass with augmented reality view, Auto rotate map, Big heading degrees. This is a compass app with augmented reality view and real time map update, and provides real time location information. 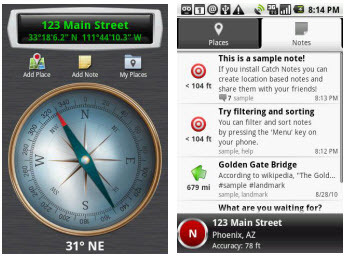 Equipped with the latest technology for detecting directions, Compass Professional is one of the highly used Compass Apps for iOS devices. It is compatible with various devices such as iPhone, iPad, iPod Touch and runs on iOS 3.0 (operating system) or later. It comes in a retina enabled high quality design. Compass Professional provides two modes of operations. You can use it in the Magnetometer mode and as well as in the GPS mode. In the Magnetometer mode it works like real time compass showing you real time direction based on your device position to the magnetic fields. In the GPS mode it shows you your current movement direction. It is highly reliable and useful in places which have magnetic interference. Another free compass apps but as name suggest it high definition compass app. This app is fully compatible with iPad. It is simple and attractive compass app.